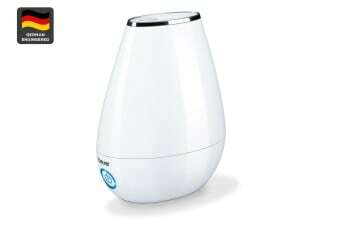 Soothe your senses and prevent your skin from drying out with the Beurer Air Humidifier with Aromatherapy. 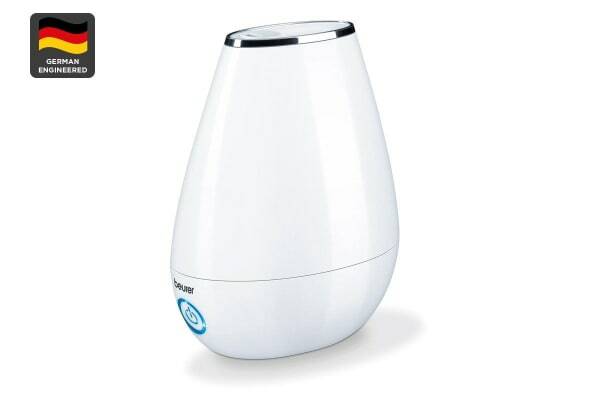 The Beurer Air Humidifier with Aromatherapy (LB37) is the perfect solution in dry conditions and particularly during times when air conditioning units and heaters are causing the air to dry out and exacerbate breathing difficulties. The aromatherapy tray allows for the addition of any fragrance to gently infuse the room with the aroma for a truly relaxing experience. Include a few drops of eucalyptus for cold sufferers or a few drops of lavender for restless sleepers. 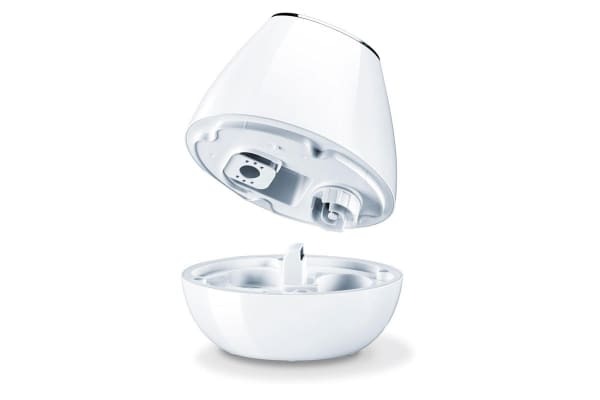 Additional features of the LB37 include micro-fine ultrasonic atomisation technology to replace moisture, quiet operation to be seamlessly used in the bedroom and low-energy consumption at only 20 watts. The LB37 is suitable for rooms up to 20 m², humidification output is up to 220 ml/h and the humidity levels have a 2 level adjustment. To maintain the longevity of the device, use the included cleaning brush to get into small crevices. The humidifier will also automatically switch-off if the tank is empty for added operational safety.